Designers working with 4G Clinical wanted to create strong visual elements for the office’s front lobby, while keeping the open space comfortable for visitors and clients. 4G Clinical is a medical technology startup, dedicated to reducing inefficiencies in clinical drug trials. 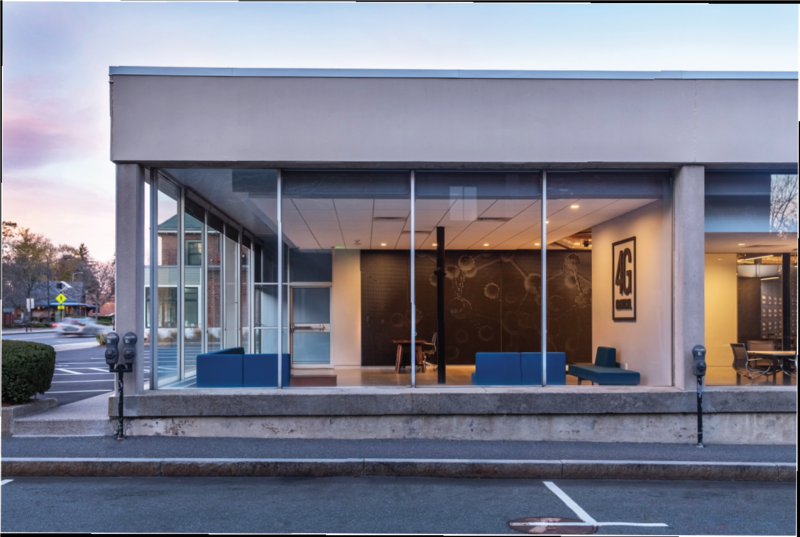 The corporate headquarters in Wellesley, MA needed an updated lobby area to reflect the company’s cutting-edge, tech-driven brand. 4G Clinical’s front lobby was the face of the startup’s brand, but wasn’t making a great impression on clients. The lobby’s design lacked any sound absorption and created a noisy welcome for visitors. 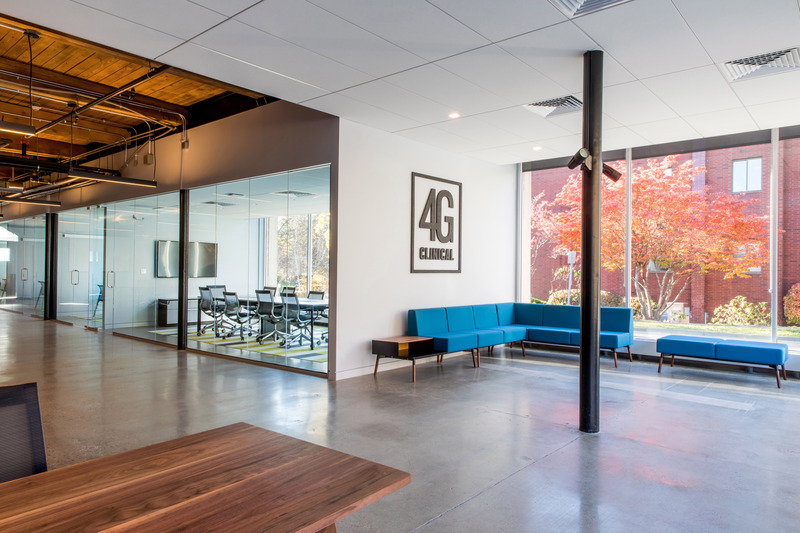 The plain, white walls needed additional design that showcased 4G’s modern, technology-driven personality. To address this, 4G Clinical partnered with Claudio Martonffy on the design of their new building. The designer provided a solution for the lobby’s distracting echo by using customized acoustic panels in the space. Kirei’s custom cut EchoPanel provided 4G with sound-absorption, effectively reducing noise in the reception area while providing a design that complemented the space’s design aesthetic. Martonffy created an impressive wall piece by custom-cutting the EchoPanels, resulting in a lobby space with less echo and more artistic flair. Additional paneling was used to create the company logo to hang in the entryway, tying the brand’s personality into the design. 4G Clinical was left with a more inviting lobby that not only sounded better, but included a unique visual element to appeal to clients and visitors. EchoPanel’s neutral colors helped create the lobby’s more modern feel without overpowering the design or drifting away from the company's branding.